At Magnum, we are truck enthusiasts first and foremost, and manufacturers second. 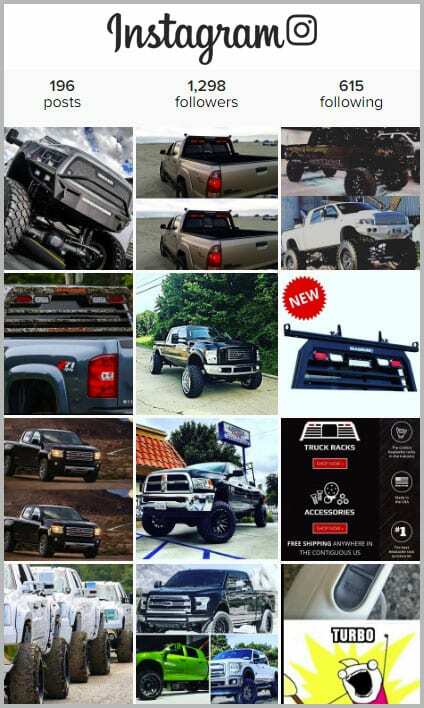 We understand the importance of tricking out your truck because we love our trucks as much as you do. By now, you probably know that we created Magnum to fill a void in the aluminum headache rack industry – where extreme function meets ultimate style. 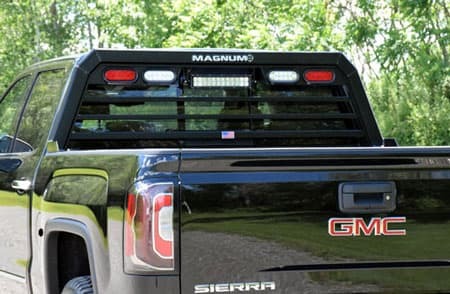 We knew a truck rack could protect your window while also giving your truck a badass look. 1. Magnum has been operating for about 10 years in central Maine. Starting in a small garage, Magnum eventually grew into the 50,000 square-foot space that we’re now in, located in Waterville, Maine. Being Made in the USA is extremely important to us, and we’re proud to be bringing jobs and commerce to the central Maine community we were founded in. 2. Magnum’s original founder is still with the company. Bill Cleaves continues as one of the owners of Magnum, responsible for product design and new product development. Staying ahead of the curve is something Bill and the Magnum team have built their reputation on. New products and innovation are the hallmarks of Magnum. Bill and the rest of the team are no strangers to manufacturing. In fact, the leadership team at Magnum has a collective 85 years of founding, developing and working in their manufacturing companies. 3. We offer free shipping in the USA (contiguous states), all the time. We understand that when you buy a Magnum headache rack, it’s an investment that you’re excited to receive as soon as possible. After one of our customers purchases a headache rack, we aim to have it shipped within 1-3 days, and shipping is always free. 4. We work with dealers across the USA. Just because we manufacture our products in central Maine doesn’t mean our customers are limited to where they can find our products. We work with dealers all across the United States to ensure our products are in the same areas as our customers. Our list of Magnum dealers is constantly expanding. 5. Our product line is expanding in a big way. For Magnum, 2016 is the kickoff of product expansion. As we continue to research the latest trends in truck accessories and cater to the needs of our clients, we’ve recently launched several new products including the Front Rack Extension Tube, and the Universal Detachable Rear Cargo Rack. We recently completed our redesigned rail kit to compliment the Magnum Racks. This will be introduced on the website in the near future. Our team will continue to look at what our customers are asking for, and where the industry is heading. 6. Our Warranty is unbeatable. 7. Our parent company, F3 MFG, is more than just headache racks. Magnum Manufacturing is in good company with F3’s other brands, which include DuraMag Truck Bodies and DuraMag Van Bodies, among others. F3 is passionate about providing truck enthusiasts with whatever equipment they need to get the job done, or to simply make their truck as cool as possible. 8. Magnum’s employees are invested in our industry and community. Our team takes our love for the industry seriously. For example, our Purchasing Manager, Julian Margitza is a part of a professional Welding Committee at KVCC, a local Maine community college. 9. We support the do-it-yourselfers. We understand that some of our customers enjoy figuring things out themselves, especially when it comes to modifying their trucks. That’s why we’ve worked to come up with fresh video content, step-by-step instructions and other ways to help inform you on the best way to install your Magnum products. 10. We love it when you show off your trucks. There’s nothing we enjoy more than when our customers take pride in their trucks, especially when they’re sporting Magnum gear. Whether it’s on Instagram, the Magnum Facebook page, or our website, we look forward to seeing our customers’ photos.